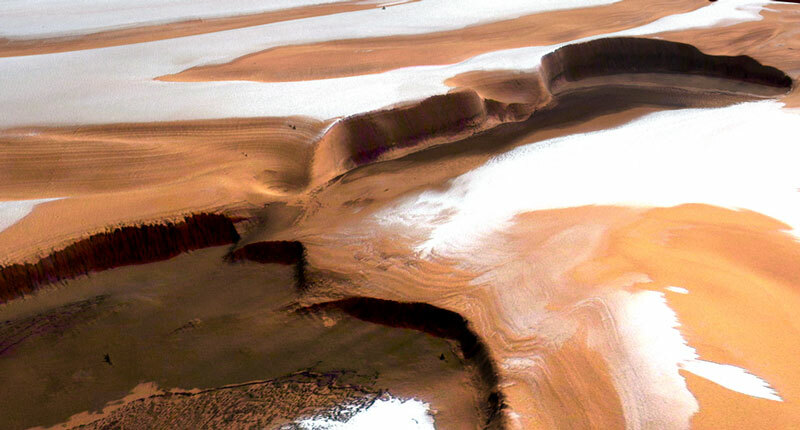 Explanation: Vertical cliffs of nearly two kilometers occur near the North Pole of Mars. Also visible in the above image of the Martian North Polar Cap are red areas of rock and sand, white areas of ice, and dark areas of unknown composition but hypothesized to be volcanic ash. The cliffs are thought to border volcanic caldera. Although the sheer drop of the Martian cliffs is extreme, the drop is not as deep as other areas in our Solar System, including the 3.4-kilometer depth of Colca Canyon on Earth and the 20 kilometer depth of Verona Rupes on Uranus' moon Miranda. 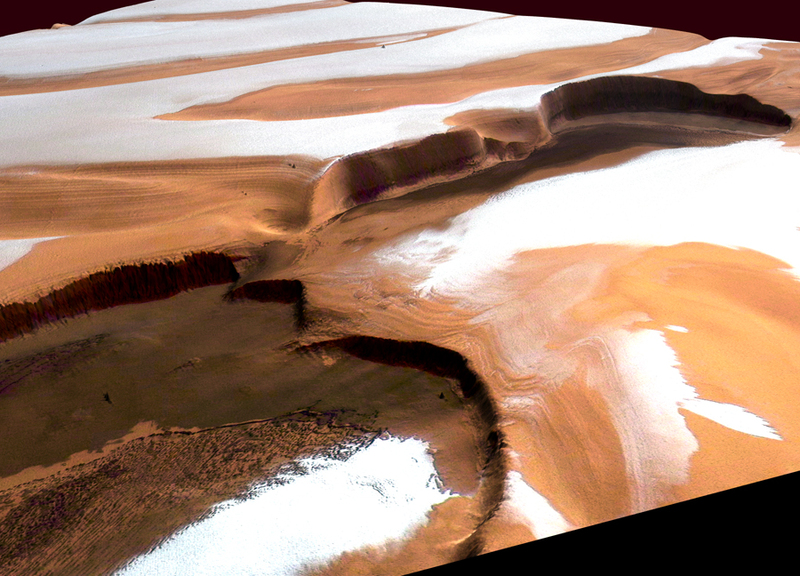 The above image, digitally reconstructed into a perspective view, was taken by the High Resolution Stereo Camera on board the ESA's robotic Mars Express spacecraft currently orbiting Mars.